Optimist International is excited to announce a new Sponsor Pin incentive. 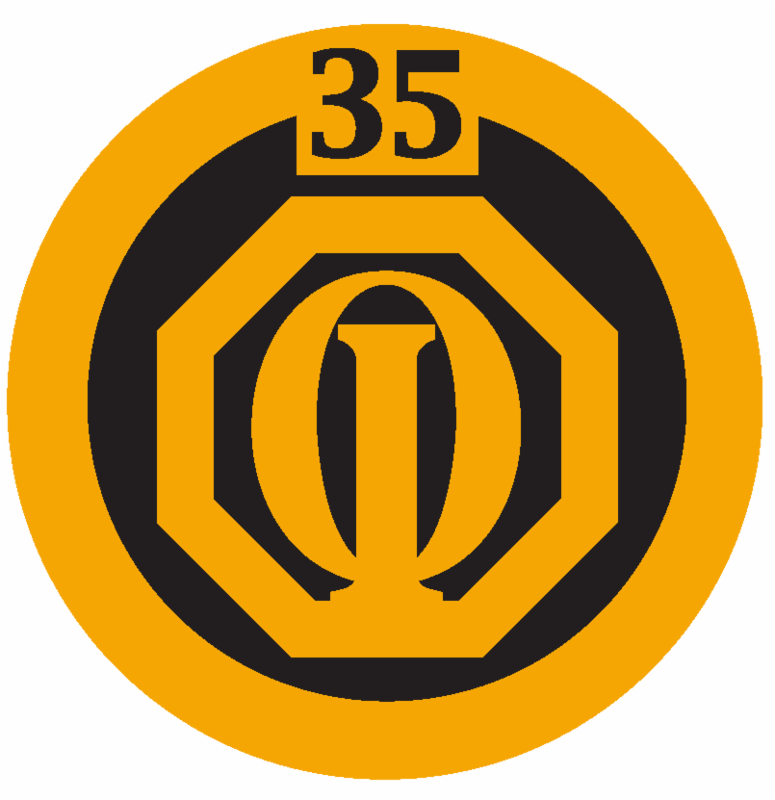 Starting October 1, Members will receive pins when they sponsor their 1st, 5th, 15th, 20th, and 35th Members. This incentive was established by the 2013-2014 International Membership Committee to reward those Members who are helping the organization grow and reach more children in our communities. Each Member should be proud of how many people they have brought into our organization and encourage everyone else to continue to promote Member recruitment. Please note this incentive is cumulative and permanent. It will not be retroactive before this year. Please contact the Membership Department at (800) 500-8130 ext. 227 or email membership@optimist.org with any questions. You are invited to the 2014-15 2nd Quarter District Conference and Training Workshop scheduled for February 20-21, 2015 in Medicine Hat, Alberta. Enjoy the hospitality of the All Nations Medicine Hat Optimist Club and take the opportunity to meet with the District Team led by our Governor, Dan Petersen. Hotel: Medicine Hat Lodge Hotel, Casino & Convention Centre, Trans-Canada Highway at Dunmore Road. Book your rooms by calling 1-800-661-8095 and ask for the "OPTI" rate. Theme: Come bop at our sockhop. Both Ken and I feel blessed and honored to have this opportunity to serve with you in Bringing out the BEST in our Kids, ourselves and our communities. Our personal goal for this year is to become healthier physically, mentally and spiritually than we are today - to be the BEST we can be in every aspect of our lives. We encourage you to join us on this journey so that we can grow as individuals, Clubs and as an organization. Improving our health and the health of our Clubs will help us serve more children and ensure a lasting legacy of Optimism. Are there areas in your life that need a boost? 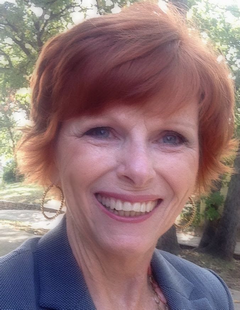 Does your physical well-being need a lift? Are the projects conducted by your Optimist Club helping kids in your community get up and get moving? Stay tuned to future issues of The Optimist magazine and The Hotline newsletter for more details. Follow us on Twitter and like our Facebook page for updates and tips. 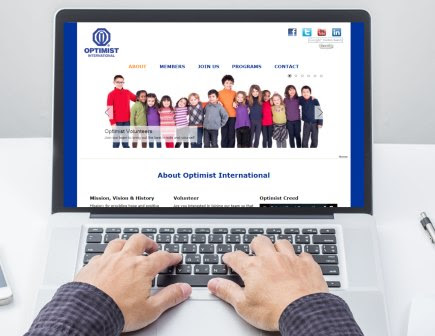 If you visited the Optimist International website recently, you may have noticed a fresh, updated look to make both Members and visitors feel welcome. A showcase of images associated with important Optimist topics such as membership, programs and youth Clubs has been added to the main pages. The images can be clicked on for more information. Social media icons and links are now included in the header of every page, to make following the organization and communicating with other Members easy. Optimists can go to a special Members section. The website still features an incredible amount of information and resources, but users have more options upfront so they can find what they are looking for quickly. Another great new feature is automatic display adjusting, allowing visitors to easily view and utilize the website from any desktop, laptop, tablet or smartphone device. If you are unable to locate a piece of information, use the "Search" function, or contact (800) 500-8130 for assistance. Optimist International President Ken Garner Declares War ... Learn more! Welcome to the 2014-15 Optimist Year ... Lets Go!!! Be the Best!!! BE THE BEST ! ! ! ! I have been an Optimist for many years, but only recently have I spent any time thinking about the benefits of being one. Obviously helping the kids in our community is a wonderful thing to experience. We all take great pride when we watch them perform in our local variety shows. Or see them playing baseball at the parks we've developed. Or listening to their speeches at the Oratorical contests. We truly believe that offering these kids positive alternatives will help all of our futures. Another benefit is the fellowship involved. Some of my best friends are fellow Optimists and I believe most of us can say that. Meeting with the same people, working on projects, sharing sense of family. Developing leadership skills is another benefit. You can see a member's confidence increase significantly after becoming a club committee chair. And members have the ability to hone these leadership skills even further by becoming a President of their Club, getting involved at the District and even at the International level. And finally, last - but certainly not least - living a life of optimism and focusing on the positive aspects of life is way more rewarding than the alternative. My theme this year is LET'S GO ! ! ! ! So that's what I want us to do.